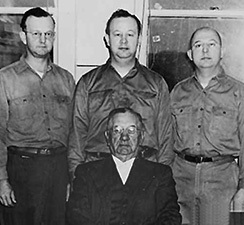 Yeoman & Company was founded by William F. Yeoman of Monticello, Iowa. The company's products were known as "YO-HO Tools" reflecting the Yeoman name and that of two local brothers named Hoag who had invested in the early business. 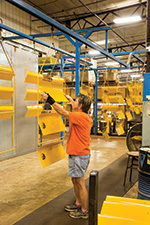 Area manufacturers were initially used to produce the steel rake heads and shovel blades, while assembly of the finished tools took place in the basement of the family home. By 1935 the company expanded to a building in Monticello and managed its own manufacturing. Yeoman tools were designed and built to meet the needs of the agricultural and manufacturing industries of the upper Midwest. 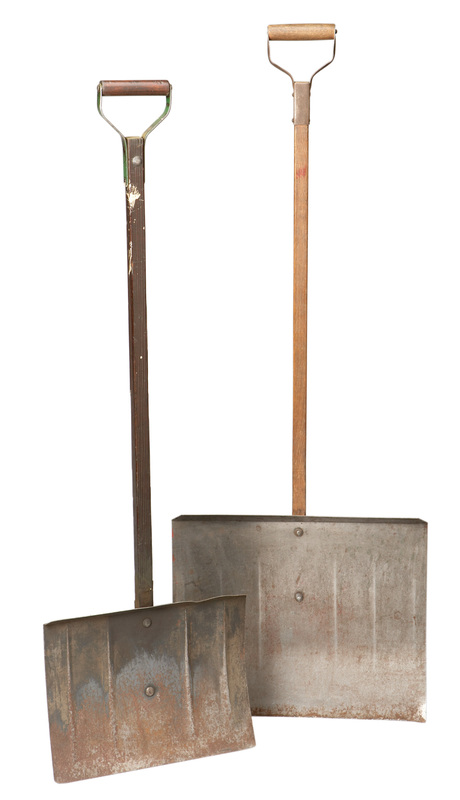 During World War II, Yeoman & Company was designated an essential industry and produced tools for Victory Gardens and snow tools to clear the decks of U.S. Navy aircraft carriers. 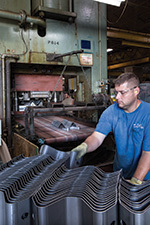 Over the past 87 years, Yeoman & Company has grown to be the largest family-owned manufacturer in the industry with a product line of more than 600 tools. A centralized location in Monticello, Iowa allows Yeoman & Company to easily meet the needs of customers throughout the U.S. and into Canada. 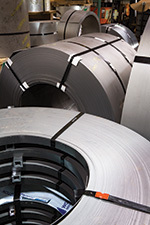 Most orders are received, processed, shipped and delivered to our customers within a week. This keeps our customers tooled up season after season, as well as during unpredictable winter weather and emergencies. Yeoman innovation begins with wanting to help our customers find the best way to get the job done. Unique designs such as our BustR™ shovels and exclusive materials such as our spring steel mean that Yeoman tools perform better and last longer. Yeoman merchandising even makes sense. 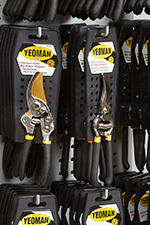 Our pruners and loppers can be displayed right in the garden center thanks to waterproof hang cards that don’t fall apart in damp or humid conditions. Yeoman & Company employees and suppliers are proud to be continuing the tradition established by William to deliver quality, innovative and price-competitive products with reliable, friendly service.